To make any dwelling super functional with interiors that held dearest to all, makes us look for some extremely practically and multi-functional furniture pieces! In modern era, there is a noise of higher prices everywhere and inflation is disturbing everybody’s life! If you are also going through hard time due to inflation but still want some furniture pieces to operate your home well then pallets will surely come in handy to solve your furniture problem! 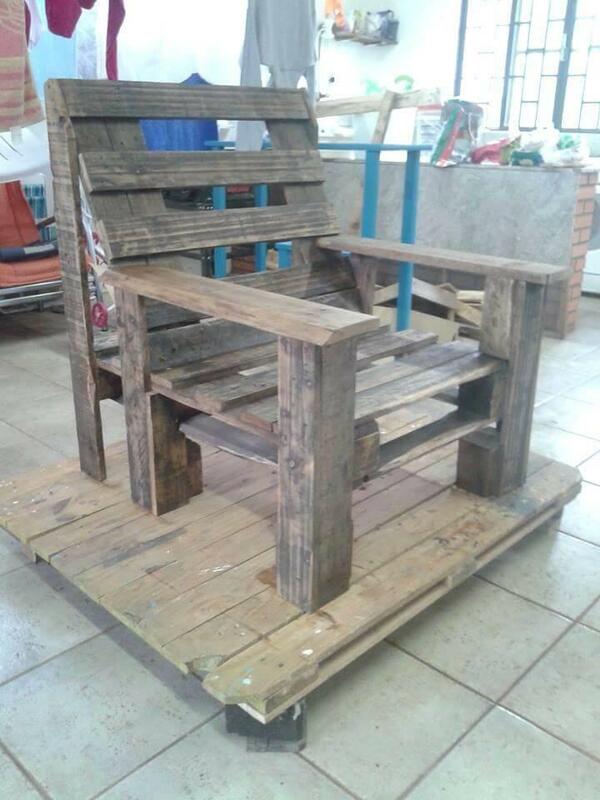 Checkout this very practical DIY pallet armchair design, built with pure salvaged pallets and offers no cost price! Backrest position comes on an angle to make the user perfectly comfortable while sitting in! 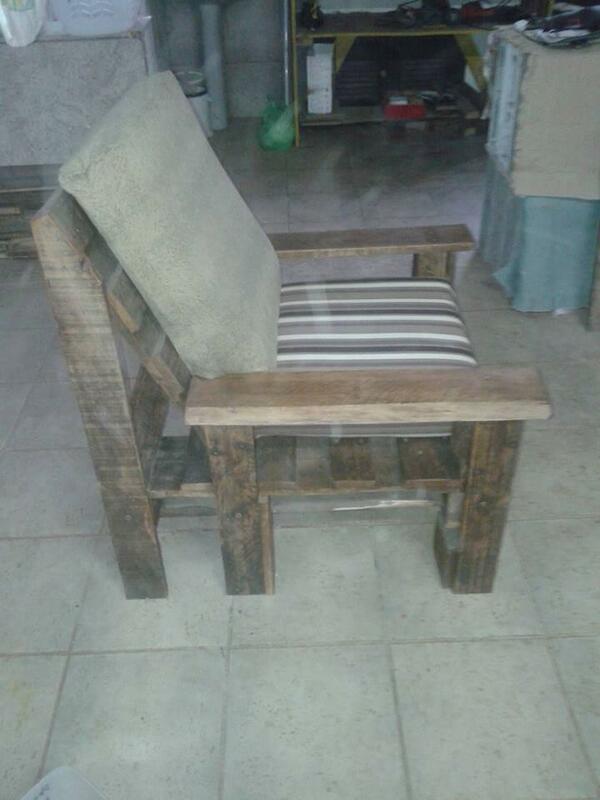 Besides of this chair, one can also build sturdy benches, pallet sofas and chaise lounges with pallets to fulfill all the sitting requirements of his home without spending a bit of his hardly earned money! Both backrest and berth section have been cushioned to make the chair a pleasure to sit on and a delight to view! 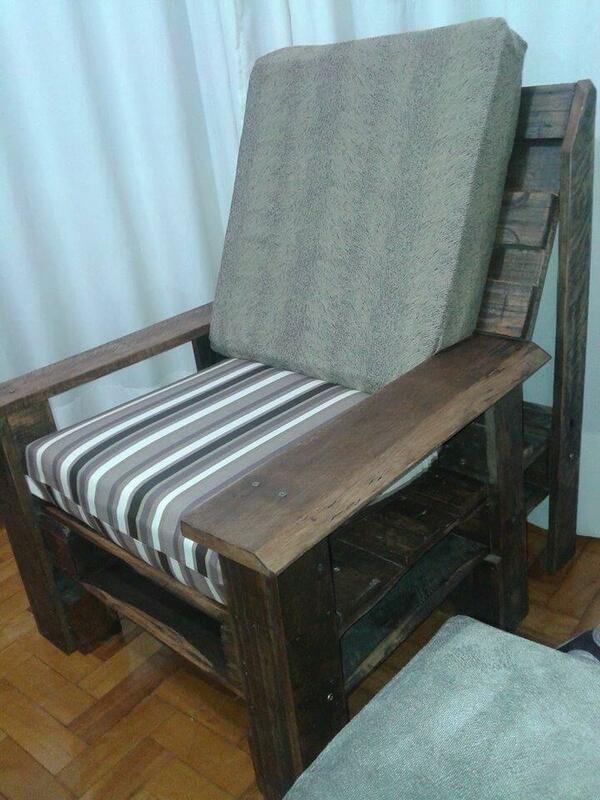 Checkout the chair design, finely detailed and super quick to construct! Just get a bunch of pallet slats by passing the pallets though a dismantling process! 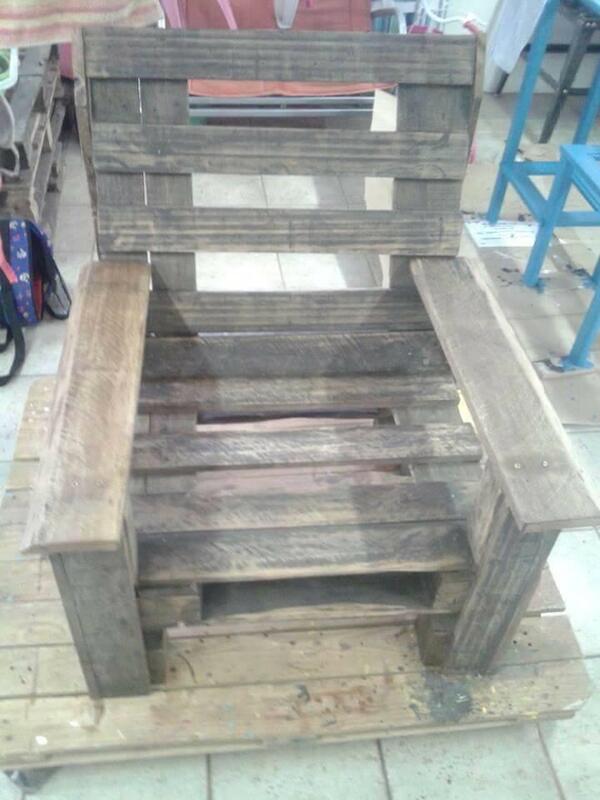 By starting from building a chair skeleton, one can easily complete the whole chair design by adding the cut down sizes of pallet slats where needed! Chair comes with a low berth section and contains an angled backrest position, these are the main feature that provides the uniqueness to it! Armrest are optional and one can add or remove them according to his own consent! Angled backrest position just makes you super comfortable while sitting back in the chair and to support a lot of weight even of a mature person, an additional support have been added at the back of backrest! To make the design more impressive and super comfortable, both berth and backrest sections have been cushioned using high density foam! 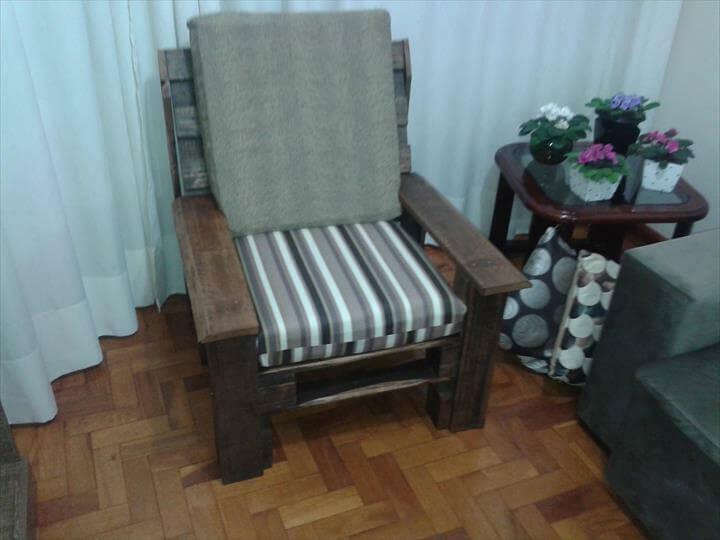 Cushion also also give that necessary glam and charm to the chair to be more visually attractive! After giving a paint or stain coat and a also a throughout sanding, the chair is ready to be placed in your modern chic living room or at any space exclusive for sitting only! Rustic appearance will give the absolute antique touch to whole of the surrounding decor and really held pleasing to eyes!